Instagram automatically shows suggestions of profiles similar to the ones that a user just followed. This is called the Similar Account Suggestions feature. The feature automatically suggests profiles and accounts that are similar to the one recently followed. The algorithm analyzes the last profile followed and suggested similar profiles that the user may be interested in. So if someone followed a profile similar your profile, there is a chance that your account will be automatically suggested by Instagram. If you do not want to include your account when Instagram recommends similar account, then you would just need to uncheck the Similar Account Suggestions feature. Are you wondering how other people find you on Instagram that sometimes you have a request to follow from someone you don’t even know? The reason for this is Instagram’s auto-suggestion feature. The feature shows accounts that are similar to each other. Instagram aptly called this feature as the Similar Account Suggestions. 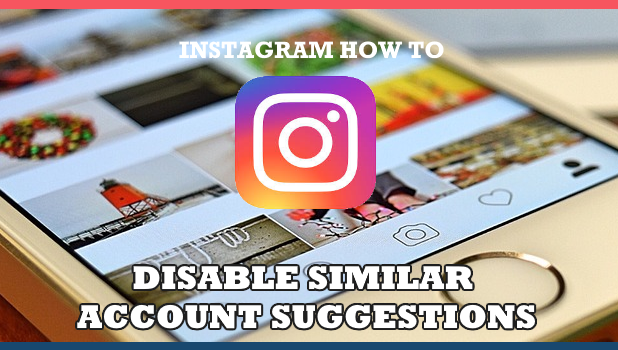 This article will teach you how to disable Similar Account Suggestions on Instagram to stop suggesting your account to others. 1. Open your mobile browser. For this topic, Safari for iPhone will be used but it won’t have major differences when it comes to Android user. 2. In the Search box, type in the www.instagram.com then tap the Go button. 3. Press the blue Login button. 4. Provide your Instagram account Login info. Then, tap the Login button once more. 5. If you’re registered for the two-factor authentication, you have to give the security code. 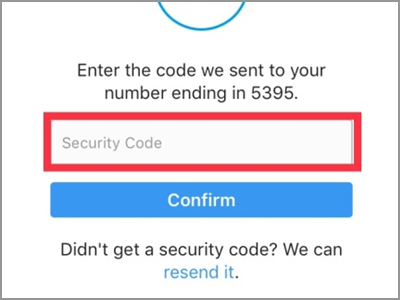 The code will be sent to your mobile number before signing in. If you didn’t receive the number codes, you could choose to enter one of the backup codes you have. 6. Press the Confirm button. 7. In your Home screen, tap the user icon in the bottom right corner. 8. Press the Edit Profile tab under your username. 9. Scroll down to the bottom part of your screen where you will find the Similar Account Suggestions. Uncheck the tick box right before the feature’s description. 10. To save the changes you made, tap the Submit button found in the lowermost area of your screen. 11. A small black banner will appear that says Profile Saved. You are done! Q: I can’t access the same option using the Instagram app. Where else can I change this setting? A: If you will notice, the steps above did not use the Instagram app though I have the Instagram app installed on my phone. The reason for this is that the setting is only applicable using your mobile browser, laptop, or desktop. The Instagram app is developed for faster sharing and connecting so Instagram opt to remove certain features that are available on the web version of the app. If you are still having trouble using the mobile web browser, you can try using a computer or laptop. Q: I want to remove the Suggestions For You on my news feed that Instagram keeps on showing me everytime I browse. Does this method fix this problem too? A: This article won’t remove the Suggestions For You feature on Instagram. Basically, this article will only disable the Similar Account Suggestions to keep people from seeing your account in the suggestions everytime they follow one of your followers or follow a profile similar to yours. Also, people who tap to follow you won’t receive any account suggestions either from your followers or following list. If you don’t want to see any follow suggestions, you might consider using your mobile browser instead of the app. The Instagram team does a lot of ways to improve and develop their application. They always improve to simplify the process of finding, connecting and communicating with someone. Most of the users find some features interesting and applicable while others seem to find some added function downright annoying. The good thing is, you always have the option to disable certain features. You just learned how to disable Similar Account Suggestions on Instagram. If you have questions about any of the steps above, let us know in the comments.